Is this normal during syncing? I just downloaded .11 and ran monerod on ubuntu. 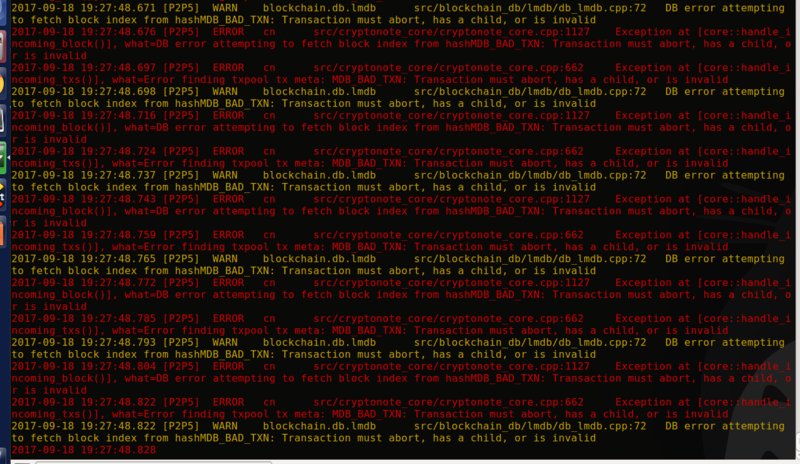 I deleted the hidden ~/.bitmonero folder and then reran monerod again and it worked. It is possible that the problem was due to a permissions issue. Not the answer you're looking for? Browse other questions tagged monerod cryptonote error-log or ask your own question.